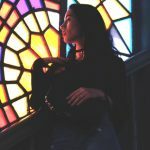 Christian Cafe Review - Is this dating site worth it? 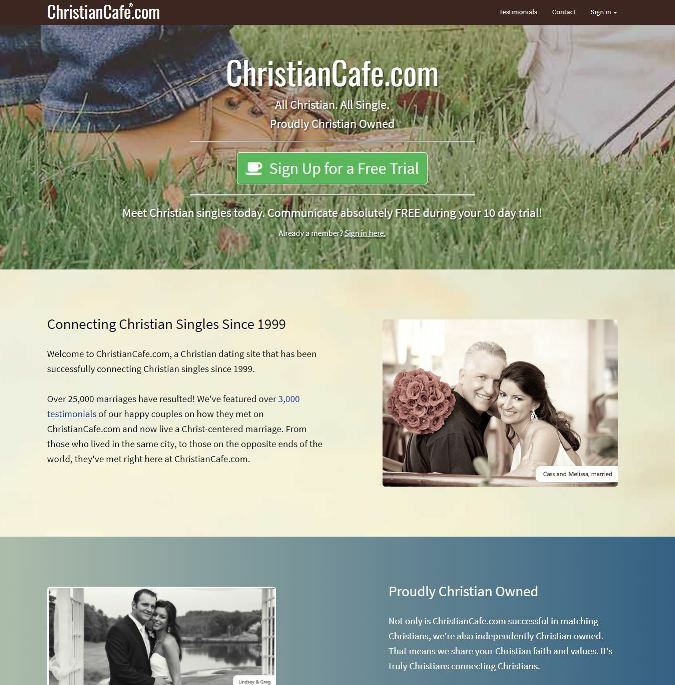 Christian Cafe Review – Is this dating site worth it? During our Christian Cafe review, our team took a look at everything this Christian dating niche site had to offer. Our goal with this review is to give you the most honest, accurate picture of what you might expect here. 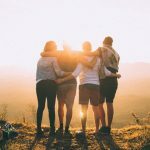 The biggest standout right off the bat of our Christian cafe review was the almost overload of positive reviews and match stories this site had. Impressive is probably the best word to describe the success rate this site has for getting Christians together. We also quickly saw that the site offers a free seven-day trial that you can get automatically by clicking the green link above. The trial gives you full access to the entire site and only limits you from exchanging personal off-line contact information. This means you can send messages, search profiles, and do pretty much everything that a paid member can. It’s by and far the most inclusive free trial we have seen anywhere online to date. Features wise the site is up to industry standards without anything too crazy over the top to write home about. Part of the sites may appear to look clunkier but everything functions well. 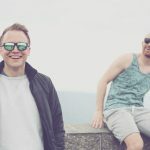 The bottom line from our Christian Cafe review is that it’s priced well and they knock it out of the park when it comes to creating successful matches. Isn’t that all that should matter? We don’t care how you get us there; just get us to that special someone. 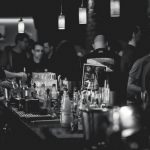 If you’re ready to learn more about what this dating site has to offer, sit back and get ready to enjoy our detailed Christian Cafe review. The number one most important question anyone has about an online dating site is whether or not they have good, quality, current matches. With less mainstream sites (niche sites like this one), it can always be a concern that traffic is non-existent or way too low. After setting up our profile to begin our Christian Cafe review, we began testing searches to see what the match traffic looked like. With some basic parameters, our first few searches returned about 15 pages of matches which seemed pretty good off the bat. It wasn’t as many matches as you might find on your mega sites, but it was definitely nothing to scoff at. Now, we all know that doesn’t mean anything, though, because they could be old profiles of inactive users. This is where we saw our first big perk of Christian Café. They remove any account that has not been active within the last three months. This means that everyone you are seeing is current and has been active within the past few months. We can’t tell you how often sites show you thousands of matches, but most of them are years old. This was a big win for The Christian Café. Another perk of this site is that you are required to complete your profile before you have access to the matches. This might seem like it’s a bit of an annoyance (which we thought at first), but now we realize we were wrong. This actually turned out to be our favorite part of the Christian Cafe review. Because they make everyone complete their profile, every profile on the site is completed. This means that you don’t have a bunch of blank profiles to sort through that are more than worthless. On top of all of this, Christian Café will add an additional three days onto your full free trial if you upload pictures. What does this mean? This means that almost every profile on there is current, filled out completely, and has a picture. If you’ve been around online dating for a while, then you know this is about as rare as finding a purple unicorn. The bottom line is this. The site had fewer matches and traffic than your mega-online dating sites, but the matches they had were quality. They were ALL current, ALL with completed profiles, and most had pictures to take advantage of the extra free days. 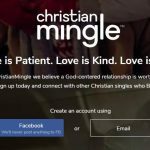 For a niche Christian dating site, this was a huge win. Great matches are a huge win, but you can only take advantage of that win if the site is usable. If an online dating site is clunky, feels like it was made 10 years ago, or just lacks the necessary features to function well, you’re not going to have much success dating. So, how easy is Christian Cafe to use? Let’s start by talking about the sign-up process on Christian Cafe. Finding where to sign up was easy as they have a big green free trial button prominently located on the homepage. For some reason, some sites like to hide the sign-up button or make it like a terrible adult scavenger hunt. It does seem like a little overkill to need city, country and zip code, but it only added a few extra seconds to the sign-up process and we;re just being picky.. Once you put all this information in, you’re taken to the profile section of the site where you are asked to fill in all your general information. Unlike a lot of sites, you are required to complete the profile information BEFORE you have any access to matches. While this may seem annoying at first for those of you that are trigger happy to get searching, it’s actually a bit of a welcomed sign. This prevents the riff-raff from getting on the site which ups the flakiness factor. During our Christian Cafe review, we took our time looking through the different profile questions they have for you. The questions are fairly straightforward. We did like the fact that they had an importance ranking attached to faith where you could choose between “It defines me,” “It has a significant place,” “Still trying to figure it out,” and “I have faith in God.” This is great because a lot of Christian dating sites online will scare people off because they feel they have to be a Super-Christian before they can join and have their entire life inline. This shows the site is accepting of all. Big positive. Christian Cafe also says clearly that if you are legally married, they do not want you to join the site until you have that sorted out. After completing the basic information, you’re given the option to complete your profile or complete the rest later. If you click to skip, you are prompted to upload photos. If you’re not ready for that yet, you can click a small button to remind you later, and you are through to the matches! Matches are shown in a grid format that is pretty normal for an online dating site. You have the ability to sort your results by match rank (how much they match with you), if they have a photo or not, username, gender, age, location, and if you’ve viewed them. These seemed to be quick links that you could sort by that didn’t allow you to sort by more than one at once. It took us a little while to locate it, but there is a search function at the top right of the screen. One perk is the site allows you to search by ALL criteria right off the bat. Some sites will allow you to do basic searches and only after you pay can you do a more advanced search.This means that during your free trial you will be able to quickly figure out if they have what you’re looking for with matches or if you should try somewhere else. The site had a pretty good number of features that did make the experience nice. They have a lot of different matching features that help you to find people in different ways (try their Quick Match function). The one feature we wish they had was the ability to sort matches by more than one criteria. When you search you can use all of the criteria, but we were really hoping to be able to use that while we were just perusing through our matches. Probably the most important feature that we found in our Christian Cafe review was the site has an awesome three-month removal feature. Our BIGGEST pet peeve with online dating sites is the fact that you end up seeing a lot of matches that are no longer active or haven’t been for years. It’s beyond annoying to think you’ve found the perfect person only to find out that they haven’t been on the site in years and are actually already married and settled down. The Christian Cafe doesn’t allow this to happen. They have a feature that removes all old accounts from the searches that haven’t been active in three months. We know we’ve mentioned this twice now, but it really is that cool. You can rest assured that the matches you’re looking at are not off of the site and married already by the time you find them. If this doesn’t scream match quality, we don’t know what does. Christian Cafe also has a TON of more in-depth questions you can answer about yourself or what you are looking for in a potential mate. While the main profile questions are mandatory to get to the matches, these are optional and can be filled out at a later time. This is great if you’re looking for a quality mate. It allows you to learn so much more about each other before you choose to invest your time into taking the relationship further. We also noticed that the site explicitly says that you cannot join if you are still currently married. While this technically is not a feature, we think it’s awesome especially for a Christian dating site. Obviously, they can’t enforce this in any way, but it should deter a lot of people from getting on the site that is still currently involved or married. Sadly, this is a huge problem with online dating and seeing a site like Christian Cafe try and curtail it is awesome. Regarding customer support, the site wasn’t as accessible as we might have hoped. By no means are we saying they are inadequate; we just had hoped to see a little more. The site has a few email addresses that you can find for offering feedback or billing issues, but no phone support or live chat. 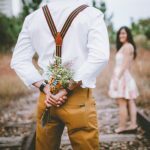 While phone and email support aren’t necessarily an industry standard in the online dating world, it’s still something that we would like to see. Thankfully, from what we saw the platform is very self-explanatory, so there may not be much of a need for customer support. It is still nice to know that it is there. The site does have social media accounts that are active that you could probably use if you needed to get in touch with someone quickly. Price | How much does Christian Cafe cost? One of the biggest things we always get asked about and wanted to make sure to discuss in our Christian Cafe review is the cost of a membership. Here’s what we found. First, the site gives all users a free seven-day trial. You can click the link at the bottom of the page here to automatically receive the free trial. Additionally, if you upload a photo to your dating profile, you’ll receive an additional 3 days free to give you a total of 10. During your free trial, you have free reign to search and message members which is great. The only thing that you can’t do is exchange personal information without a paid account. If you find a match that you want to take things further with, you will need to pay for an account. Pricing for a membership to Christian Cafe varies depending on how long you sign up for. If you sign up for one month, it’s the most expensive at around $35. If you sign up for three months, it drops to under $17 per month. If you sign up for six months at this site, it drops to just over $13 a month. If you sign up for a whole year at Christian Cafe, the price drops to $8.33 per month which is about $100 for the entire year. Do note that these are all paid as a one-time payment up front.